London and Paris are vying to become Europe’s renminbi trading hub. Paris is challenging London, the leading center of foreign exchange trading globally, to be the hub of renminbi trading in Europe. Luxembourg and Frankfurt are also entering the fray, along with Zurich. Paris is the number-one city by volume for exchanging renminbi payments in the eurozone, following a surge in the past 12 months, according to global payments messaging network SWIFT. However, London is second to Hong Kong for the value of renminbi payments worldwide. Trading in the renminbi more than tripled in the three years to April 2013, when it averaged $120 billion a day, according to the Bank for International Settlements. The rise of the renminbi has made it one of the top 10 most-frequently-traded currencies, sparking a battle by financial centers around the world to win a share of the business. Clark traveled to Hong Kong in September for the third London–Hong Kong Renminbi Forum, a partnership led by private-sector banks that promotes the offshore renminbi business in both cities. “Hong Kong has cemented its position as the main gateway between the onshore and offshore renminbi markets, with Rmb400 billion [$66 billion] settled in Hong Kong daily,” Clark says. In June the Bank of England signed a currency-swap agreement with the People’s Bank of China. A month later, China extended a pilot scheme to London that enables offshore financial institutions to apply for a license to invest offshore renminbi into onshore Chinese investments. Growth in the international use of the renminbi is part of a broader push by China to liberalize its financial system and open its current account, according to currency analysts Paul Mackel and Ju Wang at HSBC. “The bilateral currency swap will help London eventually become a fully fledged offshore renminbi trading center, just like Taiwan and Singapore,” the analysts said in a report. 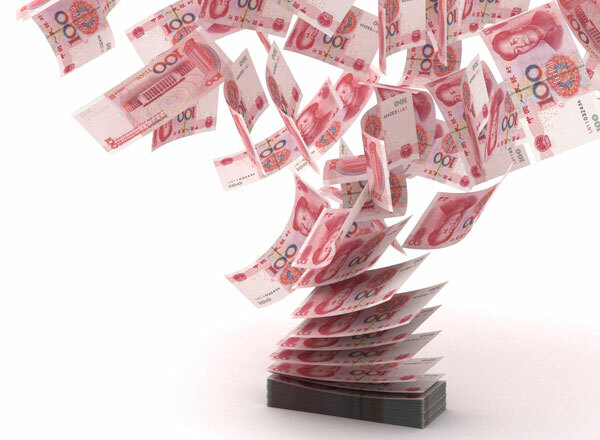 The swap—the first such deal by China with a G7 country—has a maximum value of Rmb200 billion. So far, the Chinese central bank has signed currency-swap deals with more than 20 countries. London’s development as the Western hub for renminbi." 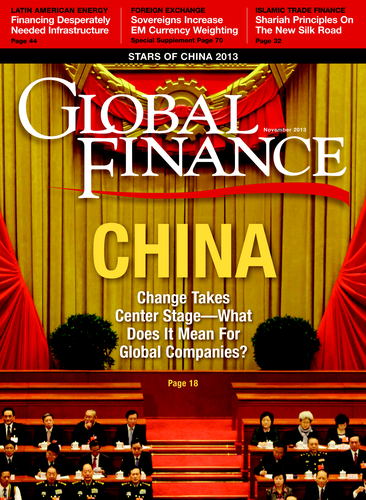 Christian Noyer, governor of the Bank of France, told a Paris Europlace (a French financial industry association) conference in July: “France has ambitions to serve as a hub for the development of renminbi-denominated business throughout the euro area. Paris has the potential, the expertise and the infrastructure to do so.” The major Chinese banks are present in Paris, and the main French banks are active in the Chinese markets, Noyer said. “Both of these assets will benefit Chinese corporates in France and French corporates in the Chinese markets,” he added. Meanwhile, Frankfurt Main Finance, the group that represents Frankfurt’s finance industry, predicted that the European Central Bank would reach a swap deal with China that would be four times as big as that obtained by the Bank of England. The ECB is based in Frankfurt, the German financial capital. According to SWIFT, Germany is ranked number eight in the world in terms of the value of renminbi payments, excluding the Chinese mainland and Hong Kong. Luc Frieden, Finance minister of Luxembourg, says the small, land-locked country is already the leading international renminbi center in the eurozone. Luxembourg launched a new website in September to promote its renminbi activities. The website says Luxembourg has the largest renminbi loan portfolio in the eurozone, and that it is the leading listing center for renminbi bonds in Europe, with nearly 40 listed on the Luxembourg Stock Exchange. Luxembourg also has the largest renminbi trade-finance volume in Europe, and is the leading renminbi securities settlement hub on the continent. Luxembourg is the second-largest European hub for renminbi payments after Paris, according to SWIFT. It also has the largest pool of renminbi in the eurozone, with Rmb40 billion in deposits. Switzerland, too, is positioning itself to win a piece of the renminbi pie, focusing on asset management and trade finance. In July, it became the only country in continental Europe to sign a free-trade agreement with China. The growing competition in Europe for a share of the renminbi business is helping China to reach its goal of further internationalization of its currency. The fast-growing offshore renminbi market in Taiwan, which opened in February, is expected to increase the island nation’s business activity with the Chinese mainland, and could help Taipei develop as a financial hub, if it is willing to liberalize its financial markets, analysts say. Taiwan’s renminbi deposits increased to Rmb85.1 billion ($13.9 billion) at the end of August, according to data provided by the Central Bank of the Republic of China (Taiwan). This includes newly acquired domestic renminbi deposits of Taiwan’s banks, as well as renminbi deposits in their overseas banking units, which have been allowed to trade in the Chinese currency since August 2011. Taiwan needs to further develop its bond market and relax capital-account restrictions to take advantage of its full potential as an offshore renminbi center, according to a study by London-based think tank Chatham House. “Taipei is the new player in the renminbi offshore market and has strong growth potential, the main drivers being close cross-strait cooperation in trade and foreign direct investment,” the report says. Taipei is unlikely to rival Hong Kong as a regional financial center, however, since non-Taiwanese investors are deterred by regulatory restrictions, higher taxation and lack of financial openness, according to Chatham House. It says Taipei’s renminbi deposits could reach Rmb150 billion by the end of this year, which would make it one-fourth the size of Hong Kong’s renminbi business. “Taipei will face strong competition from international financial centers such as Singapore and Tokyo, whose banking sectors have more capacity for international transactions and deposits through a broader range of customer networks,” notes Chatham House. Hong Kong’s biggest challenge could come from Shanghai, which China identified as the mainland’s future international financial center by 2020. Shanghai’s new free-trade zone, which began operating at the end of September, will be used as a trial run for renminbi convertibility on the current account and market-oriented interest rates. Shanghai plans to promote a full-fledged opening of its financial services sector to both domestic private capital and international financial institutions, according to HSBC economists. China also will allow international trading platforms within the free-trade zone.